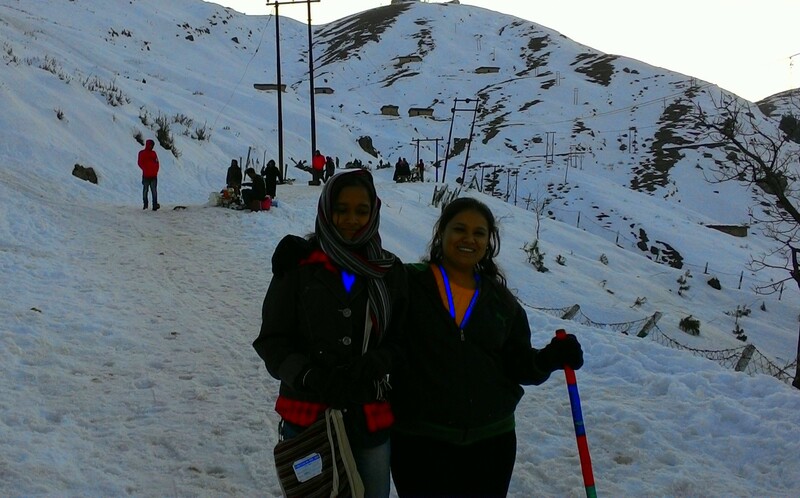 February – 2015, during my Trip to Vaishno devi with my friend and sister, we decided to check out the near-by snow clad hill station, Nathatop. 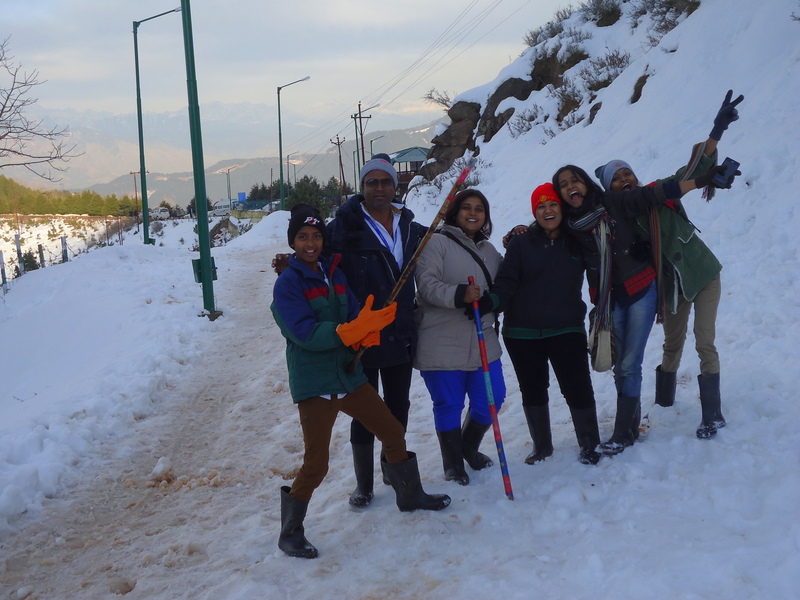 None of us ever encountered snow earlier, so we were quite thrilled to see that place. 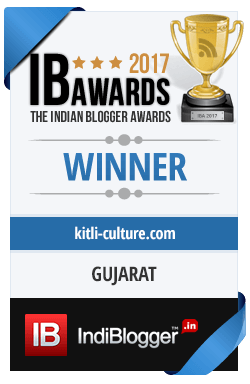 We were staying at Katra and heard about Nathatop from the fellow travellers, and it was not in our itinerary. A family from Surat who were our train mates during the journey to Katra, also joined us in this trip. Where: 93 kms from Katra. One can reach here a by hiring taxi from Katra. 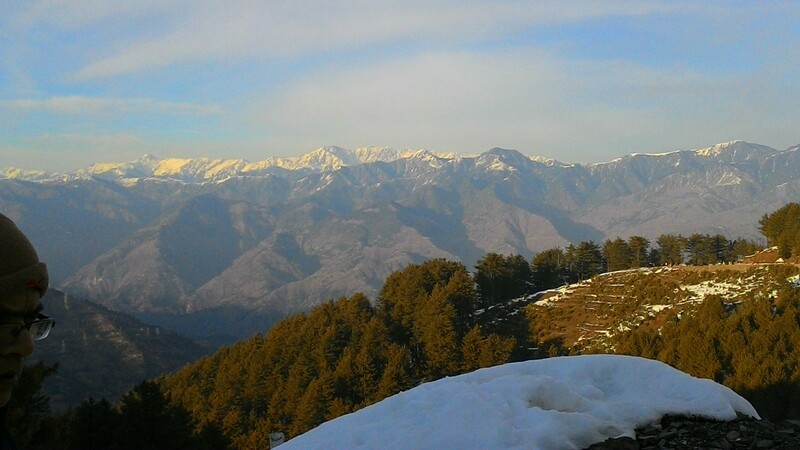 About : Nathatop, is one of famous attractions in the Uddhampur District of Jammu and Kashmir due to its amazing scenic, trekking and adventures options that it provides to the tourists. Tourists can also reach here through a 14 km trek from patnitop and and take advantage of some great adventure sports like paragliding. One can also enjoy the skiing activities during winter. 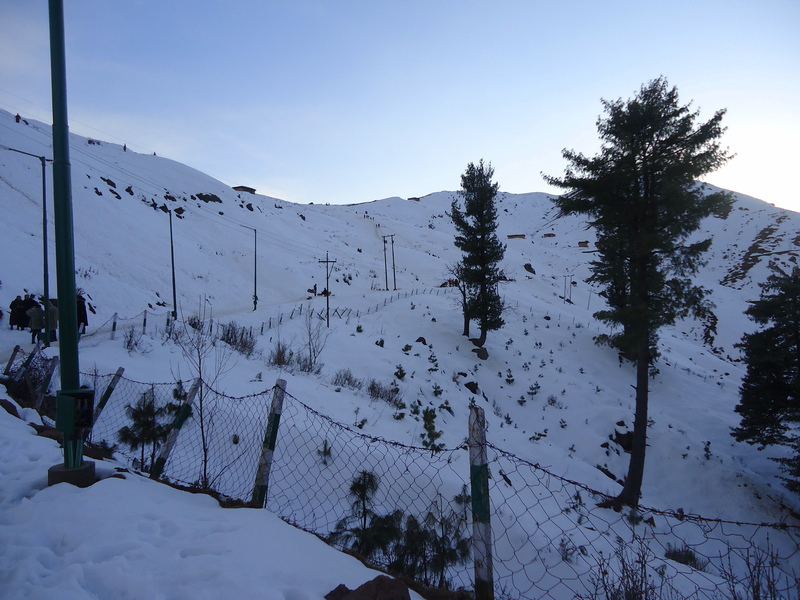 During winters one can get a panaromic view of the snow as it is an an altitude of 2711 metres. This being my first escape to snow, I was in no mood of clicking pictures , so here you see below, the not so good pictures of the amazing Nathatop. This place is heavenly awesome and one can actually view the himalayas on reaching the top. 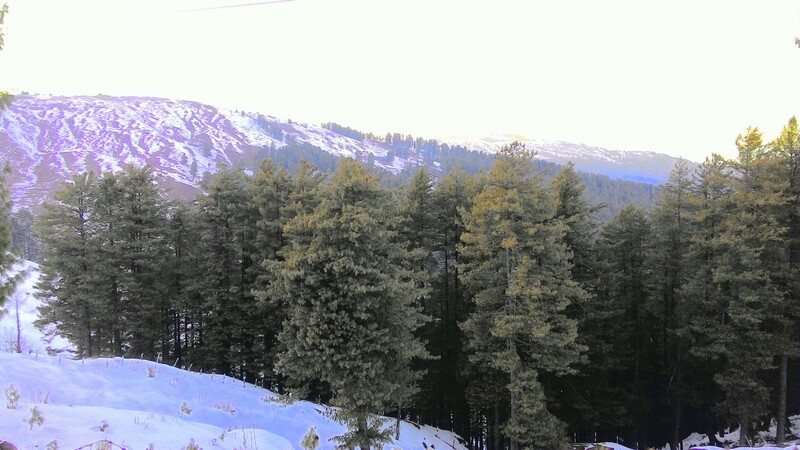 Vow..the all tall pine trees!! The green and the white , Amazing !